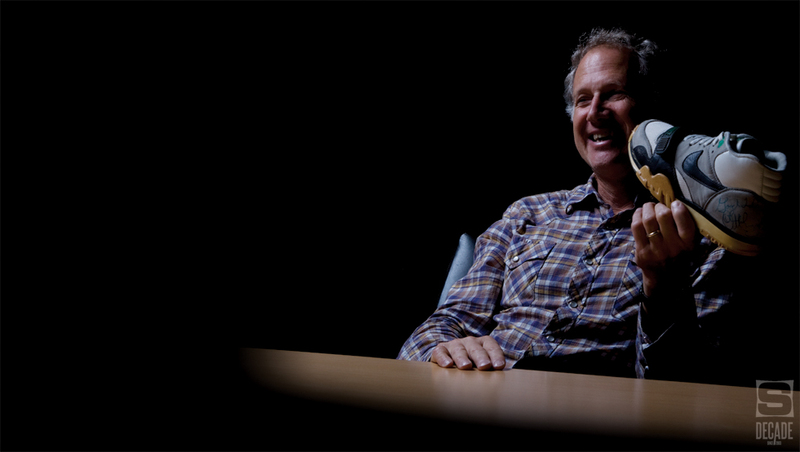 Tinker recounts creating the Cross Training category with a single shoe after being inspired from his YMCA workouts. 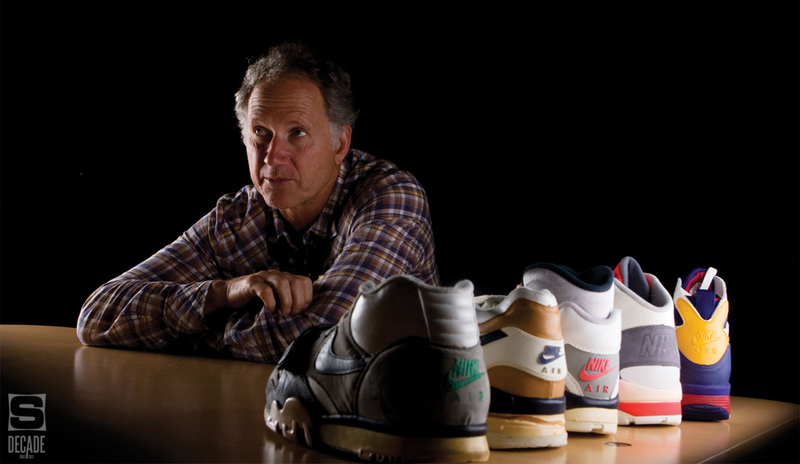 While the Air Jordan line may be what Tinker Hatfield is best known for designing, it’s far from his only work. And while the Air Jordan line would have undoubtedly never been what it became without Hatfield’s guidance, the Basketball category was already firmly established. What he achieved in Cross Training may be an even bigger accomplishment, in the sense that the category didn’t even exist until he pursued it. 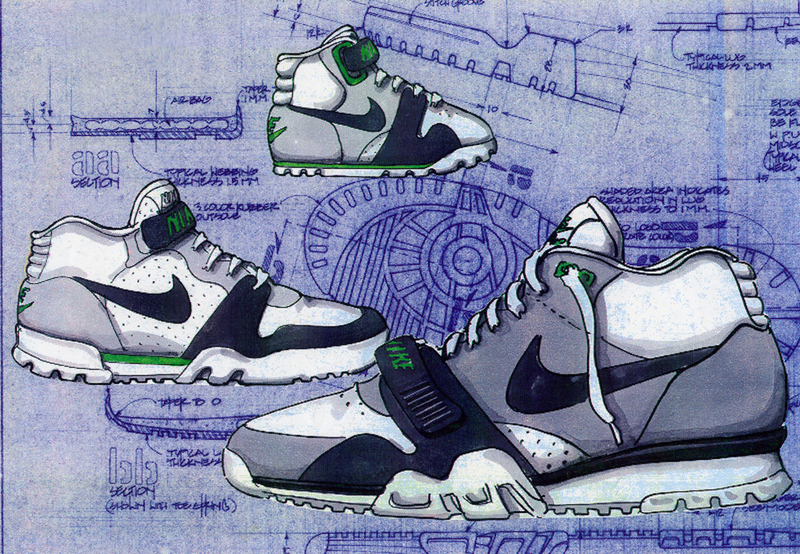 To help provide context to the heritage of the category, we spoke with Tinker in 2009 for Issue 30 to hear all about what inspired him to create the Air Trainer 1. Nick DePaula: As the story goes, you were at your gym and noticed members switching shoes to go from running to playing basketball -- was that the moment when you first realized that a cross trainer was needed? 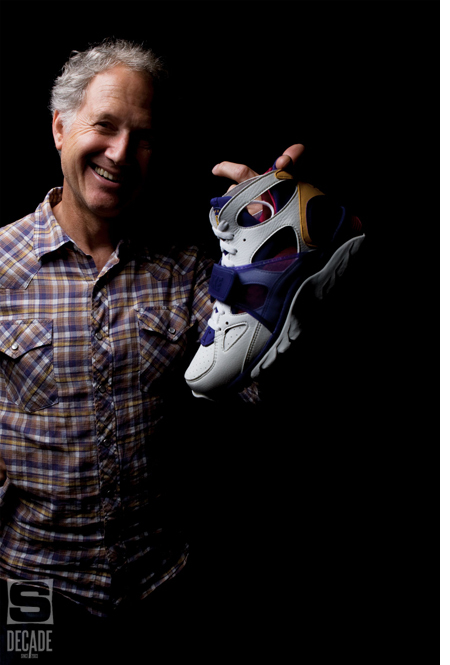 Tinker Hatfield: What I remember was that there were some people in our lab at the time who were interested in multi-purpose shoes. A guy named John Robinson was working on the last, and I think he had grabbed a designer from the design group named Steve Opie. They were working on a multi-purpose product, but I don’t think they actually knew why. I think it was just a project in some ways. For me, I don’t work that way. I don’t do things just ’cause something needs to be done. I see things or see an inspiration and I try to react to it, maybe solve a problem or do something different. I knew what they were doing, but I wasn’t quite sure that I thought that they knew how to start it or finish it. Anyways, at the same exact time, it was sort of serendipitous I guess, and I was very new to the footwear design group because I had been doing architecture before that. That project would be to take the activities that were going on in that club and design a product that would actually be somewhat reasonable for performance purposes for a number of activities. I knew immediately that if the shoe was going to be the ultimate shoe for everything that you would have to compromise a bit in each sport. It wouldn’t be the world’s best basketball shoe, the world’s best running shoe, the world’s best aerobics shoe or the world’s best weightlifting shoe or whatever, but it would be good enough in each one of those where you could go get a safe [in the locker room] and go get a workout. That was the epiphany for me. I didn’t want to have to pack around two or three shoes, and I didn’t want to wear one pair of shoes that was really inadequate for something. That’s how I looked at it. I actually started sketching, and if I am not mistaken, I think the first person I showed the sketches to was Mark Parker. I told him about my experience at the Y, and I said, “You know, we should do like a training shoe for all of these different activities that would work pretty well for everything.” That’s how it got started, and that was the beginning of it. The sketches were on onion-skin paper, they’re here in Archives, and I’ve seen them reproduced and I’ve also seen them here around. It was kind of an interesting first stab at what that kind of shoe could look like. NDP: So when you talked to Mark, who did it go to after that, and what was the initial response? work on more sketching and ultimately we started into the sampling mode. We did borrow the last from the John Robinson study. He was looking at a last that actually had a little bit more heel lift than a basketball shoe, but a little less heel lift than a running shoe. It had a Varus wedge on it that was tipped a little outward in the heel and a little inward in the forefoot. That was a pretty interesting development that John had worked on, and it basically gave you a little bit more stability in the heel because it just tipped a little bit, and yet you would toe-off a little bit better when you transitioned off of a flatter surface. I never have worked off of a marketing brief from Marketing. That doesn’t mean they’re not important, that just means that for a lot of the projects that I was working on, the information that was coming from Marketing was typically status quo information and the marketing brief was always: “Here’s what’s in the marketplace, let’s do something similar, and we’ll charge this much for it.” To me, that’s just useless information because I already knew all that stuff, so I would just throw all of that out and work on my own brief. This was natural for me anyhow, so I didn’t need anyone from Marketing to help. It was just an observation in the marketplace, and in a club in this instance, and you could just guess that this was going on in other clubs. Certainly, we did a little bit of traveling, and there certainly weren’t a lot of facilities like the Metro Y around the country, but you could just sort of see that was going to be happening more, and the revolution of training was going to get started. So there you have it, Mark Parker was working on the developing and I was going to be the designer and we started doing sampling and working on designing and we went overseas and started looking for new materials and new places to actually prototype the project, and there are all sorts of crazy stories about how we traveled and the shenanigans we would get into. [Laughs] We would room together and we were traveling on the cheap and had no support from Marketing again. We said, “No, no, you’re missing the point.” The shoe was going to be a compromise. We can always design a better basketball shoe or a better running shoe, but this is going to sit in the middle where it’s good enough for most people. That was the part that people didn’t get, and there were a number of people who were quite upset that we were working on this project. We wouldn’t have been able to do it had it not been for some protection from a few people above us. NDP: You’ve done a lot of great running shoes and a lot of great basketball shoes, so where does all of this Training product sit amongst everything? TH: I don’t know. It’s hard to rate stuff, because every month you’re working on a different project. I always use to have the standard Michael Jordan answer. “What’s your favorite shoe?” And I’d say, “Well it’s the one I’m working on now.” [Laughs] That’s a little bit of a cop-out though, because I do have some favorites. Sometimes it’s less about the design and more about the context, so I really do love these shoes because of the stories with Mark Parker. We really were all over the place trying to figure these shoes out. No one had ever done a shoe like that, and no one had ever done a partial cupsole. No one even thought the shoe would hold together. We were looking at materials that no one had ever used on a shoe like that, so that was pretty special. The practical jokes, the traveling, and the negativity and the strife and the pressure, that all adds up to being a special time. The Trainer I is probably one of the more special shoes to me just because of that. 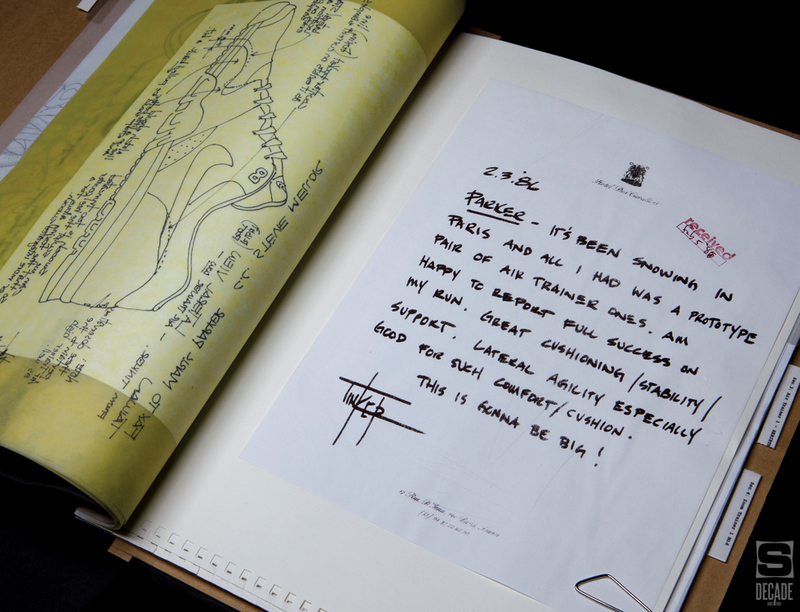 Even though I may have done better design work since, it was pretty special for its time. Of all the cross training shoes, that one had to be my favorite because of what it meant and what was going on at the time and what it meant to me to be successful there. It was like vindication.